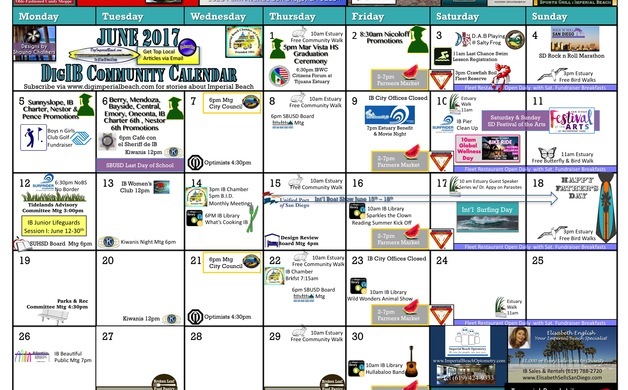 Now you can Get Your Free Imperial Beach June Community Calendar for Free. Just click on the image included in the article. If you would like to advertise your event, meeting or business, contact Paul Spear via email at digimperialbeach@gmail.com. If you would like to receive it free every month, just subscribe to our Newsletter and you will get the new calendar at the start of every month in your email. Just click on: subscribe.